Abstract : It has been observed that the task of matrix assembly in Isogeometric Analysis (IGA) is more challenging than in the case of traditional finite element methods. The additional difficulties associated with IGA are caused by the increased degree and the larger supports of the functions that occur in the integrals defining the matrix elements. Recently we introduced an interpolation-based approach that approximately transforms the integrands into piecewise polynomials and uses look-up tables to evaluate their integrals [15, 16]. The present paper re-lies on this earlier work and proposes to use tensor methods to accelerate the assembly process further. More precisely, we show how to represent the matrices that occur in IGA as sums of a small number of Kronecker products of auxiliary matrices that are defined by univariate integrals. 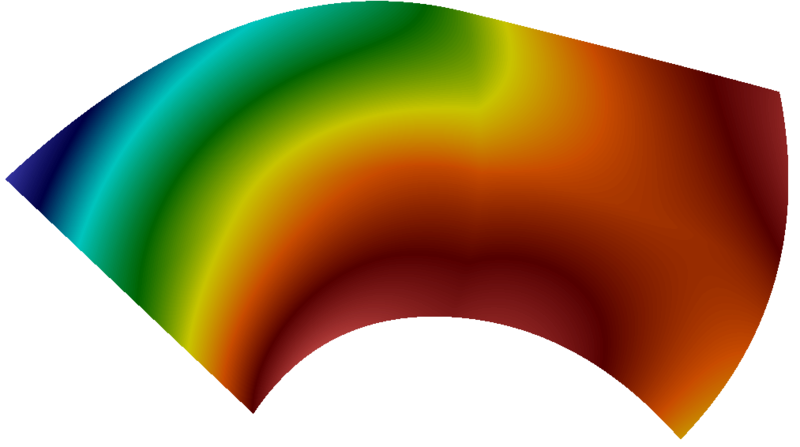 This representation, which is based on a low-rank tensor approximation of certain parts of the integrands, makes it possible to achieve a significant speedup of the assembly process without compromising the overall accuracy of the simulation.